I went to my local EB Games to do some shopping and instead of dodging the shelves and misinformed parents asking for the new fighting game for Xbox, I had to weave my way through stacks and stacks of HUGE Guitar Hero sets that you have for sale. I know it's not you're fault that the store is kinda small and they don't have a lot of room, but why do you feel the need to offer these huge packages time and time again? After 25 million units sold I think it's safe to say that there is enough plastic instruments out there to last a lifetime. Now, I can justify the existence of DJ Hero. It is a new installation to the series that offers new gameplay and allows gamers to play along with music from a completely different genre. But Band Hero? Whose idea was that? It's Guitar Hero with different songs! Oh wait, that's what Guitar Hero II, Guitar Hero Encore: Rock the 80's, Guitar Hero III: Legends of Rock, Guitar Hero: Aerosmith, Guitar Hero World Tour, Guitar Hero: Metallica, Guitar Hero 5, Guitar Hero Smash Hits and Guitar Hero: Van Halen are. And for those who don't feel like counting, that's nine sequels since the original was release in 2005. NINE! And if you throw in Band Hero, that makes for 10. Disgusting. How about you guys focus on the DLC aspect of the game? Guitar Hero World Tour hasn't had a new song since the end of August and Guitar Hero: Metallica hasn't had any new songs offered since its release. The least you could do there is put up the Metallica songs that weren't included on the disc (I want some Phantom Lord dammit!). I won't name names, but the other guy has over eight hundred songs available for download. And they've only been around for two years! Oh, and their Beatles game already has exclusive DLC and it only took 2 months. 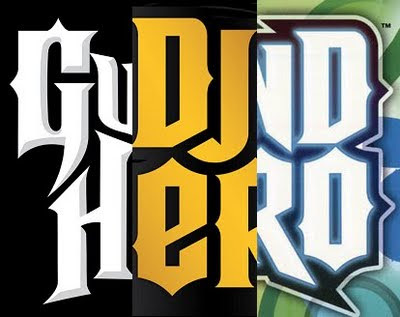 In the rhythm based music games, the Guitar Hero brand is doing a lot of things right. I feel your gameplay is the best of the bunch and, with the exception of Band Hero, you have some pretty amazing tunes that we can all rock out to. The additional modes are fun and the character likenesses that you have been able to obtain are a nice touch. Obviously there's some songs I would like to see made available, but I understand that the red tape is the biggest hurdle in acquiring them. So please, please stop making new games. Guitar Hero: Van Halen should be your last release for at least a year. Focus on the DLC side of your games so people don't feel like they are being forced to upgrade whenever you feel like making minor improvements.